Everyone associates Henry Ford with the automobile and the invention of the assembly line, but you also have the American businessman to thank for your backyard cookouts. An avid outdoorsman and early environmentalist, Henry Ford found a way to solve two problems…waste from his sawmill and cooking fuel source for camping trips…with the invention of Kingsford Charcoal. 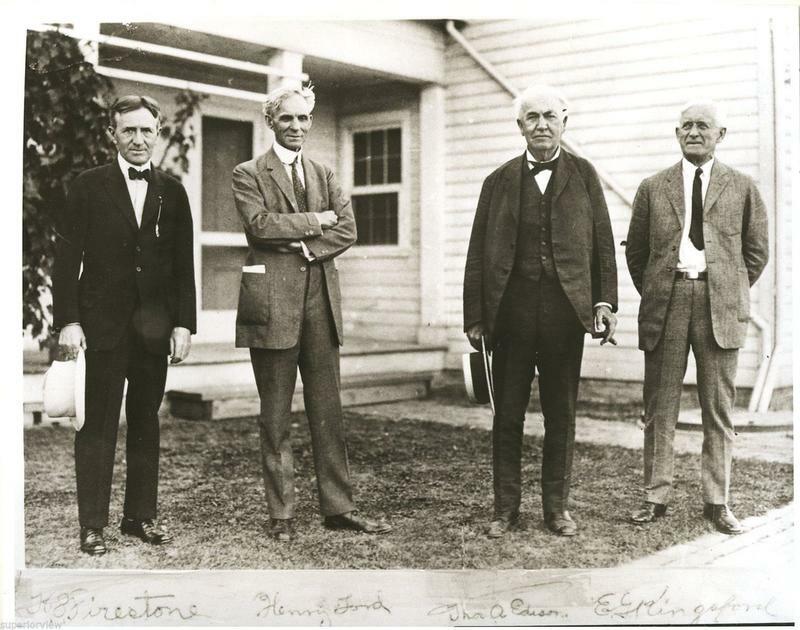 From left to right: Harvey Firestone, Henry Ford, Thomas Edison and Edward Kingsford posing in Dearborn MI, circa 1930. 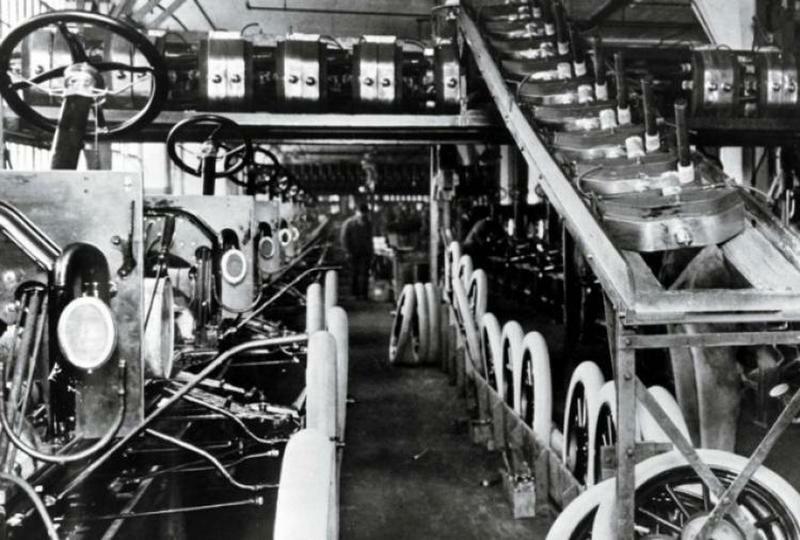 Henry Ford was experiencing phenomenal success with this assembly-line produced Model T Fords. By 1919, his company was producing a million cars a year. About 100 board feet of wood went into each car…in the steering wheel, dashboard, and other parts. Ford wanted his own source of wood so he wasn’t at the mercy of other suppliers and inconsistent costs. So he contacted his cousin’s husband, Edward G. Kingsford, a Michigan real estate agent, to help him find and purchase timberland. He found just want he needed in Iron Mountain, Michigan. Ford built a sawmill there to cut the wood for shipping to Detroit. Ford, a nature-lover, was also an early environmentalist and lived by the motto, “reduce, reuse, and recycle.” He was bothered by the wasted wood at his Iron Mountain sawmill. There was a surplus of leftover stumps, branches, and sawdust. Ford hated to see the resources going unused and sought a way to make use of the byproducts of his sawmill. When he wasn’t overseeing production at his Ford Assembly Plant, Henry Ford loved to spend time in the outdoors. He frequently went on camping trips with his cousin-in-law, Kingsford, and his friends, inventor Thomas Edison and American naturalist and essayist, John Burroughs. It was on one of these camping trips that Ford figured out what he could make with the scrap wood and sawdust from his sawmill. The first assembly line at the Highland Park Ford Plant in Highland Park, United States in 1913. One problem ford often encountered when camping was finding enough dry wood and kindling to build and sustain a fire that was hot enough to cook food over. Ford found that he could use the scraps and sawdust, pressed into lumps held together by tar and cornstarch, as a quick and easy way to start cooking a fire. He named these lumps charcoal briquettes and built a briquette manufacturing facility next door to the sawmill. He sold the briquettes in picnic packs and promoted the link between owning an automobile and experiencing the great outdoors. 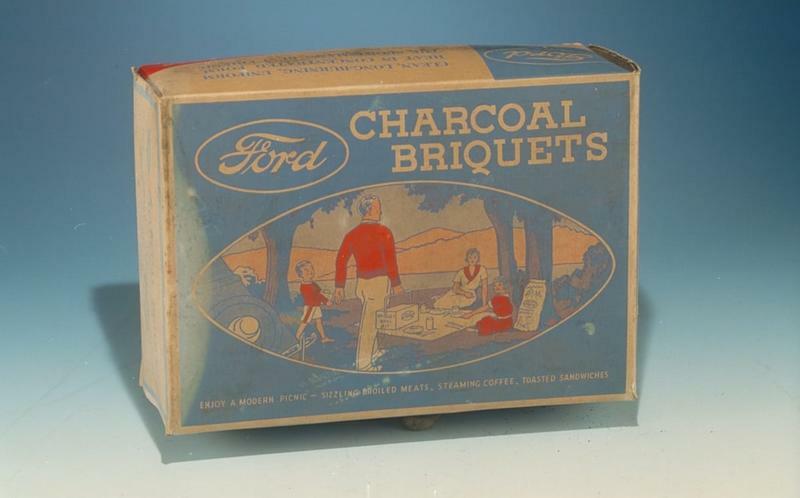 Ford’s charcoal briquette division was purchased by a team of investors in 1951. The conglomerate renamed the briquettes Kingsford Charcoal in honor of Edward Kingsford. Today, Kingsford Charcoal is still made in America using 100% American materials. In fact, more than one million tons of wood waste finds new life as charcoal briquettes every year. 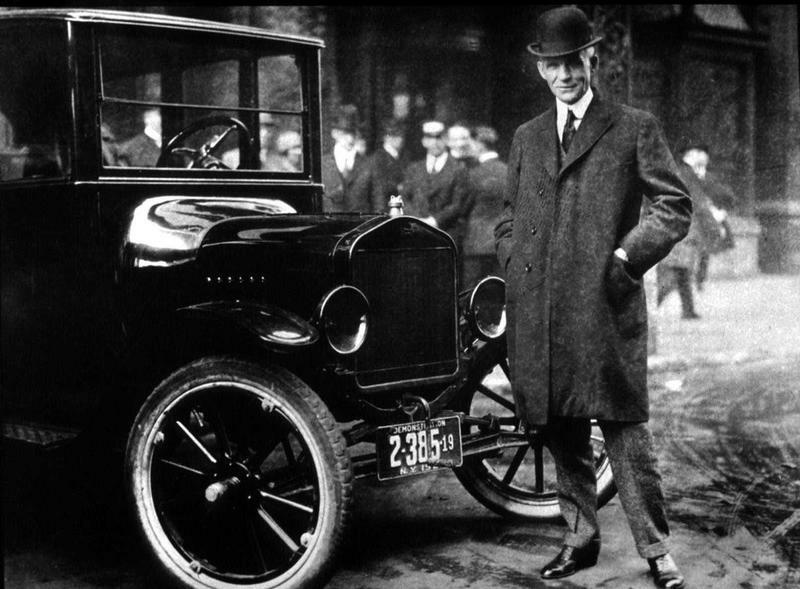 Henry Ford was a visionary entrepreneur who found an innovative way to solve two problems with one invention. 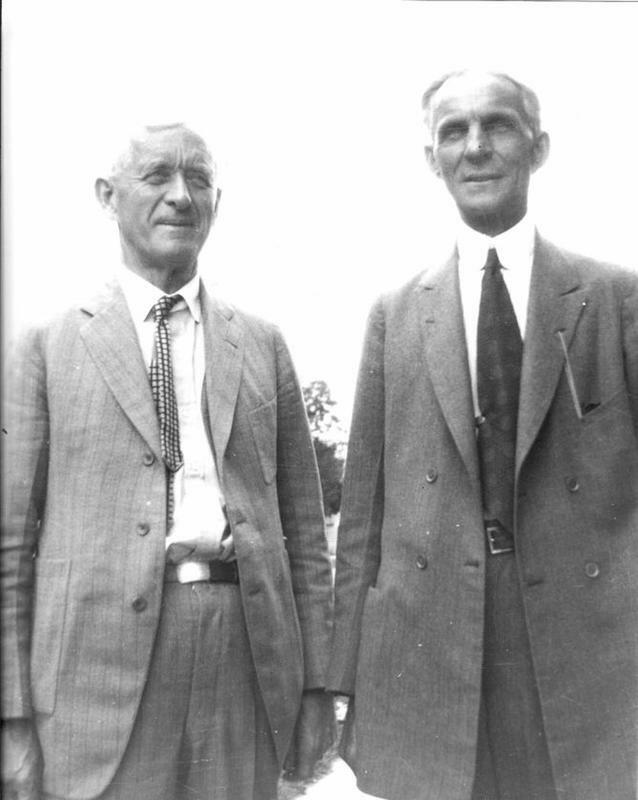 The next time we enjoy a burger or hot dog cooked over a charcoal grill, we should give a big thanks to Henry Ford.